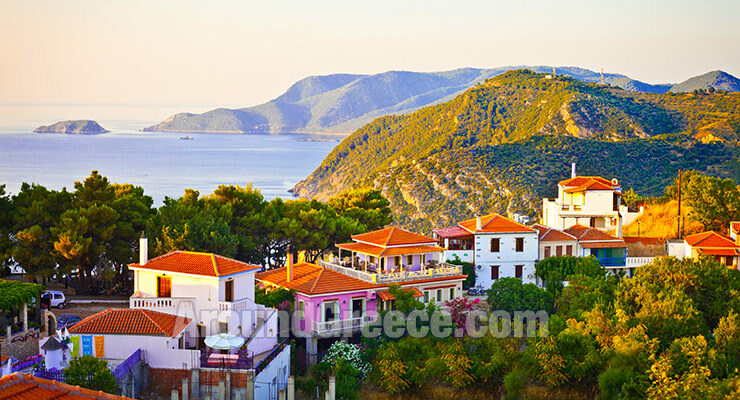 The picturesque island of Alonissos, situated to the east of the Sporades, is an island filled with charming and magical scenery, that perfectly sets the tone for a holiday filled with relaxation, as well as entertainment and adventure. It's rich vegetation and glorious beaches make it an untouched paradise, and one can easily enjoy moments or pure pleasure here. Throughout the centuries, Alonissos has had several different names, such as Ikos, Evonimos, Liodromia and Hilodromia. The island is one that played an important role in Greek history, especially in terms of the navy, ship making, ceramic art and wine production. The fertile soil on the island have helped with the growth of many herbs and plants that are used for their healing properties. This in turn lead to the development of local medicine, and also the "National Academy of Classic Homeopathy", which was founded on the island. The first sea park in Greece was developed on Alonissos island in 1986. In the clear and tranquil waters around the island, the famous "Monachus-Monachus" seal resides here. The island is also home to a huge variety of rare plants, birds and animals, including hawks, the Aegean seagull and the wild goats of Gioura, which are actually a relative of the famous Kri-Kri goats of Crete. The capital of Alonissos is Chora ( Hora ). Located on the top of a hill, with it's impressive fortress that provided protection for the town during the Medieval period, Chora is a very interesting place to visit, and one where you can enjoy some truly spectacular sunsets. There are many places of interest and beauty on the island, and visitors will find themselves with an overwhelming choice of places to visit and sites to see.